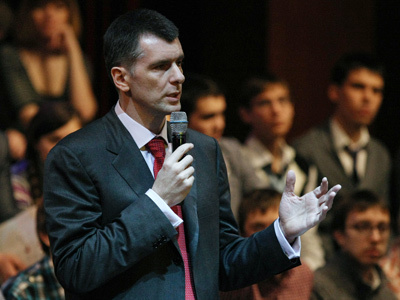 The Central Election Commission has registered Mikhail Prokhorov as a presidential candidate. The billionaire has now become one of five hopefuls in the running. 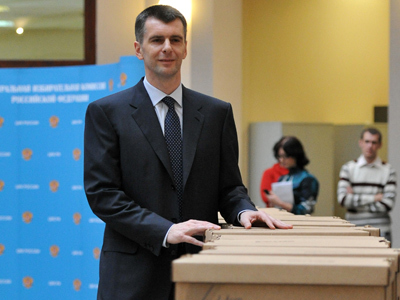 ­The signatures collected by Prokhorov satisfy all requirements, the CEC said. The checking of signature sheets in support of Mikhail Prokhorov revealed 4.38 per cent of invalid papers, which is under the 5 per cent threshold allowed by law. Last week, the candidate released his presidential program, a view on Russia’s development which is opposition to that of Vladimir Putin. 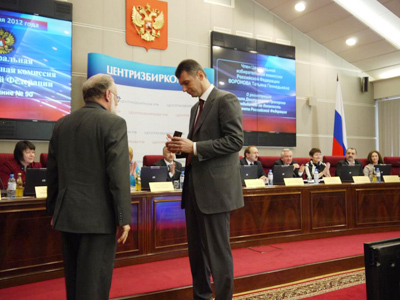 Prokhorov proposes a major political reform, which includes limiting the presidential terms to only two in a lifetime and reducing the State Duma threshold for parties. The four other registered candidates are Vladimir Putin, nominated by United Russia, head of the Communist party Gennady Zyuganov, Fair Russia leader Sergey Mironov and Lib Dem leader Vladimir Zhirinovsky. 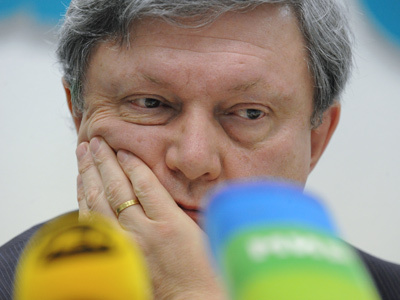 Leader of the liberal Yabloko party, Grigory Yavlinsky, who had also submitted signatures for presidential nomination to the Central Election Commission, will be officially denied registration this Friday. According to the CEC, 26.5 per cent of his signatures are false. An official notification has been sent to the politician. The refusal to register Yavlinsky as a presidential candidate does not cast any shadow on the legitimacy of the forthcoming election, prime minister Vladimir Putin’s spokesman Dmitry Peskov stated on Wednesday.